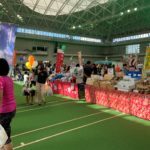 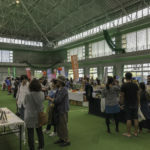 The 2018 Kumejima Industry Festival took place at the Kumejima Firefly Dome on December 2, 2018. 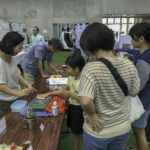 This year hundreds of Kumejima locals and visitors gathered to celebrate the productivity of Kumejima. 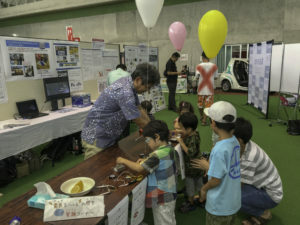 Unlike last year, the weather was great, allowing both outside and inside attractions to be fully enjoyed. 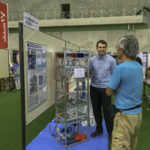 As usual, the event comprised a combination of exhibits by local industries, activities, food, and shopping. 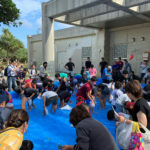 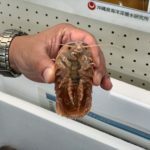 Some of the larger attractions included the popular Kuruma Prawn catch, in which children were allowed to go into a pool to try and catch as many live prawns as they could, jump houses, and a sports activity. 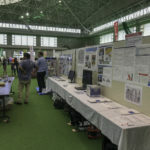 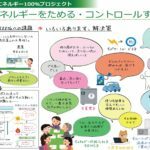 GOSEA contributed to the event with an energy display and activity area with posters on Kumejima’s current and future energy use, Ocean Thermal Energy Conversion via the PICO OTEC model, and and an educational energy activity area with a variety of hands-on experiences.